Acme Seals Group. Acme T Seal security seal. 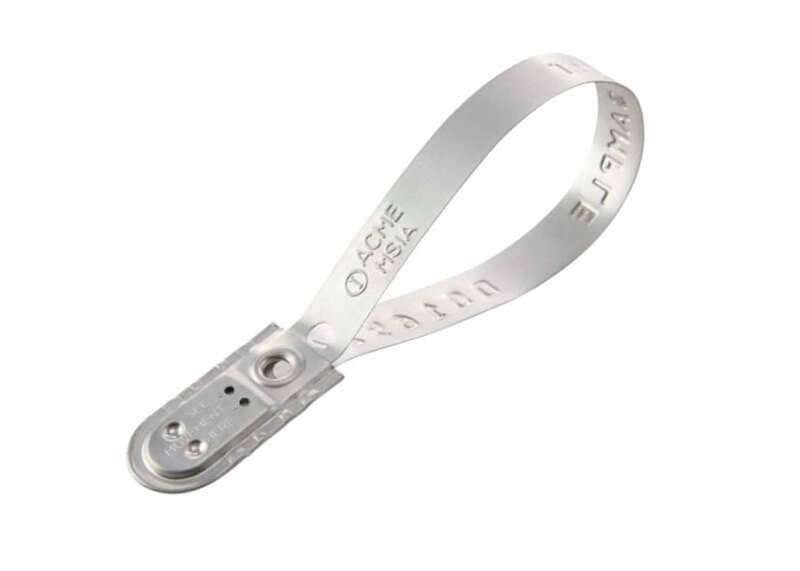 The Acme T Seal is a fixed length metal seal manufactured in Tin plated steel. The design features a unique double locking action and inspection holes in the lock box which enable the user and security personnel to view the tips of the "T" mechanism within the lock box ensuring the seal has been correctly locked and has not been pre-tampered.